Keiichi Matsuda (BSc. MArch) is a future-facing designer and film-maker. His work has been widely exhibited, from London's V&A Museum to New York's MoMA, as well as attaining viral success online. He has gained a cult following from acclaimed short films such as HYPER-REALITY, which picked up many awards including Vimeo’s “best drama of the year” in 2016. Next Reality named Keiichi as a top AR influencer, while he was serving as Leap Motion’s VP Design in 2018. Keiichi sees design as a tool for exploring the future of technology and culture. 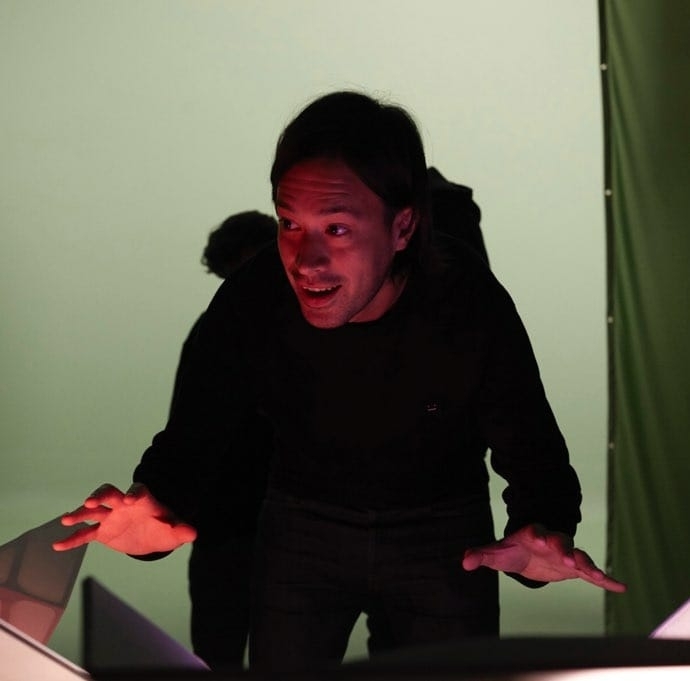 Whether working through narrative film or concept interaction design for XR, his focus is to define a new vision for reality, that exists at the intersection of virtual and physical. Given that external reality is a fiction, the writer's role is almost superfluous. He does not need to invent the fiction because it is already there. Keiichi Matsuda Ltd. is a limited company registered in England and Wales (registered number 08186062). Registered office 30 Forest Grove. London E8 3HX. Copyright © Keiichi Matsuda Ltd. 2018 All Rights Reserved. No part of this website may be reproducted without Keiichi Matsuda Ltd.’s express consent.